Apologies for the ethno-blog hiatus, since May I have been in el monte (i.e. 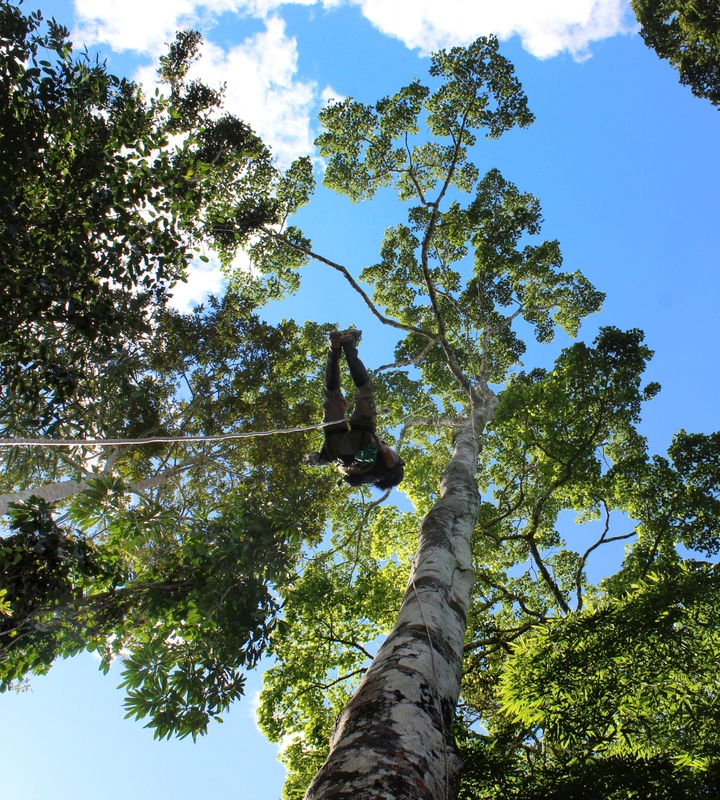 backcountry, a term synonymously used with la selva, or jungle), several hours up the Madre de Dios River. I am now based in the capital city of Puerto Maldonado for a more prolonged period and will update the ethno-blog regularly. There are many exciting stories, videos, photos, and more to share in forthcoming posts! Over the past few months I have been conducting participant observation and semi-structured interviews with a variety of local people, including permanent and temporary staff at a conservation concession/biological station, eco-tour guides and operations staff (e.g. motoristas, logistics, etc. ), local assistants of science investigators, and other locals whose livelihoods are intertwined with the conservation economy in Madre de Dios. 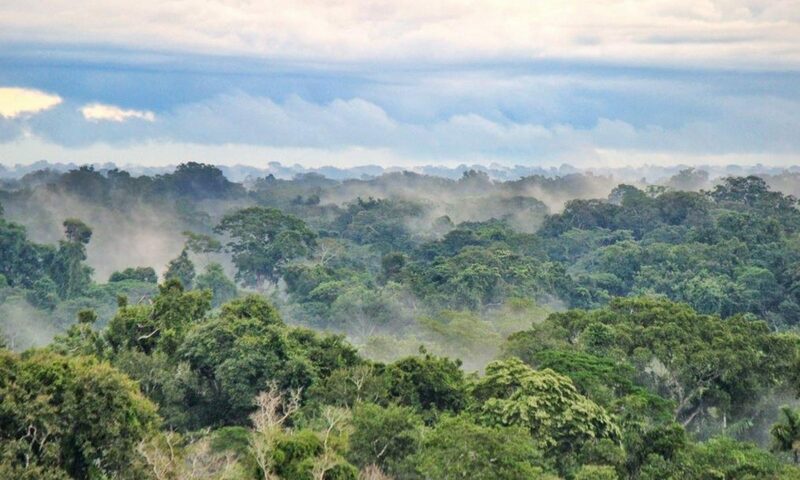 Since 2008 I have been traveling upriver to learn about the role biodiversity conservation and natural resource extraction play in local livelihoods, but I am also keenly interested in how these economies define and transform space. It was serendipitous that my longitudinal research in Madre de Dios began as the latest gold boom commenced following the global economic recession (see Asner et al. 2013). To help me understand the effects of transnational development and natural resource extraction, I have been photographing these trips for the past six years and using images as props in photo elicitation interviews and analyzing photographs using methods from cultural geography, such as landscape interpretation (see Duncan et al. 2004). The first leg of the trip spans a section of the newly paved Transoceanic Highway from Puerto Maldonado to the small mining port town of Laberinto. The highway connects traffic circuits of Brazil, Bolivia, and Peru, enabling Brazil and Bolivia to access sea ports on Peru’s Pacific coast, and further developing infrastructure in Andes/Amazonia Peru, which is home to some of the poorest Peruvians in the country. Numerous mining communities, haciendas, and chacras (cultivated land) have sprung up along the Transoceanic Highway in recent years. My ethnographic research has recently documented land disputes between local landholders and migrant squatters on plots along the highway as land becomes more valuable. 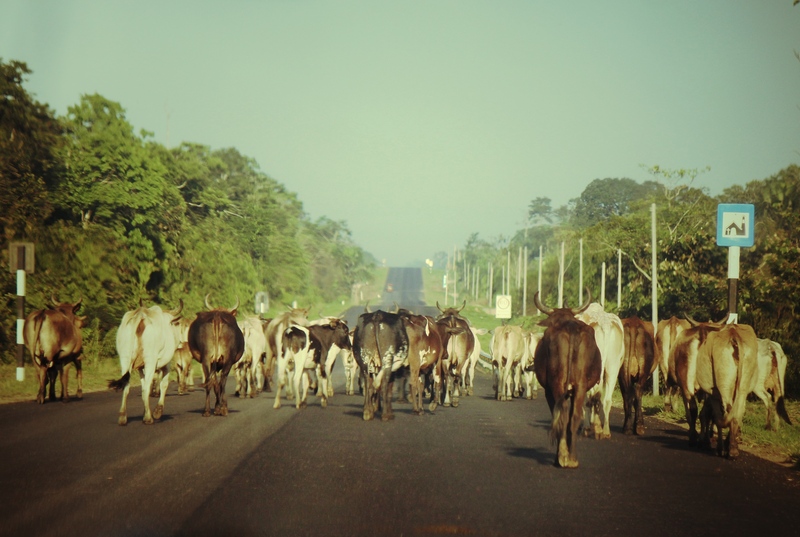 See HERE for an recent open source publication about the effects of road construction on landscapes in the tri-national frontier of Bolivia, Brazil, and Peru. The Peruvian government has erected large signs in recent years to advertise investment in infrastructural development. This photo was taken during Master’s thesis research in 2010 when the Billinghurst Bridge was still under construction. Guillermo Billinghurst (president of Peru from 1912-1914) is known for his contribution to the labor movement with his landmark legislation that guaranteed an 8-hour workday. Many development signs around Puerto Maldonado emphasize labor in their promotion of construction, development, and notions of progress. On the left of the sign there is a support column at the edge of the river labeled “Antes: incertidumbre” (Before: Uncertainty) and to the right the latest construction progress (in 2010) labeled “Ahora: Futuro” (Now: the future). Many locals I have interviewed in Puerto Maldonado question whether the new bridge has lived up to the promises of a better future or merely enabled more capital to flow through their city and fingertips. The recently enacted government-enforced fuel inputs strategy to cut off energy supplies to miners has taken a toll on many non-mining populations, including local riverine communities that depend on fuel for transportation of goods and people, especially native communities, which often use a collectively owned generator to power their pueblo and motors for pumping stream water into the community for drinking and washing, conservation organizations and ecotourism operations have also been affected by the new laws that put a quota on the amount of fuel that can be purchased. During the fuel shortages just over a month ago, many people have turned to informal means to power their towns and enable their mobility. 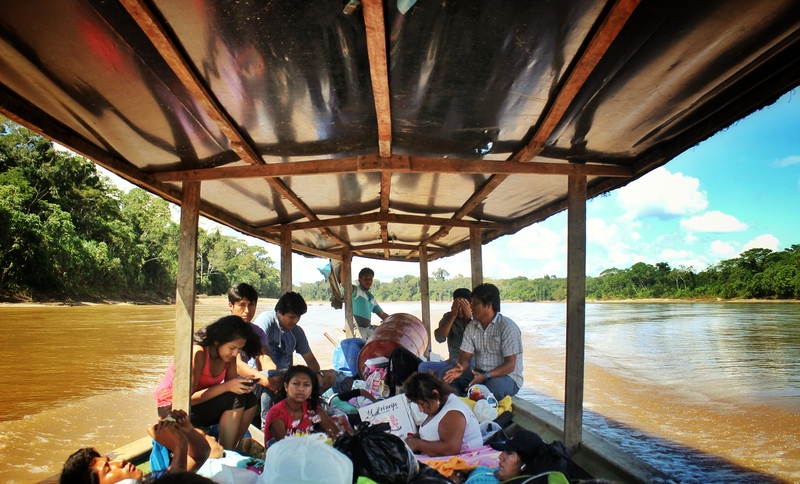 The above photo documents one of the trips we made upriver along with residents of a small mining pueblo who hitched a ride on a boat service that normally only transports cargo upriver. A cargo boat departs the port of Laberinto during the region-wide fuel shortage that took place during July and August. The boat is carrying 50-gallon drums of fuel that will likely be used to power mining equipment upriver. During fieldwork in 2013, it was possible to see several ‘cargo completos‘ (full boats) of petroleum and gas going up and down the Madre de Dios River each day, while I only counted two boats during the last trip upriver during the fuel shortage. Likewise, there were far fewer mining operations during this time. A miner stands in front of semi-mechanized mining equipment, including a motorized pump, sluice box, and carpeted ramp for capturing gold flakes. During the dry season (especially July-September) it is common to see smoke along beaches, where felled trees and gathered driftwood (locally referred to as palizada) are incinerated to make space for new mining beach sites. My last ethno-blog update focused on semi-structured interviews I conducted with merchants of agricultural products during the paro regional (regional workers’ strike) with the objective to better understand from an emic perspective how local livelihoods were affected by the longest paro in recent history of Madre de Dios. Whereas in the last entry I described preliminary results from semi-structured interview data, in this post I will discuss a different ethnographic method—participant observation—and what kinds of insights can be gleaned by this approach. Participant observation can be useful to generate both qualitative and quantitative data; as methodologist Russ Bernard (2011: 257) describes, participant observation “puts you where the action is and lets you collect data… any kind of data you want, narratives or numbers.” Indeed, whether I am engaged in daily labor tasks with a conservation worker and eliciting narratives about risks of trapping jaguars for research (one time a jaguar suddenly awoke while undergoing an immobilization procedure and required manual restraint—the local assistant had to jump on its back) or whether I’m pursuing more quantitative questions and assessing a worker’s wage earnings as he plans his next 8-day cachuelo (temporary work) for ~1500 soles compared to his normal S./1100 monthly salary in conservation, participant observation is a powerful mixed-method for the ethnographic toolkit. 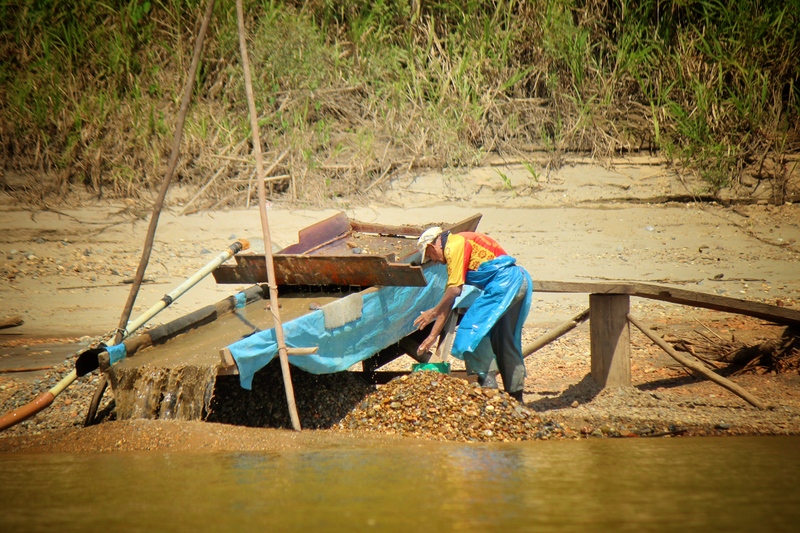 See HERE for more on wage differences between gold mining and other livelihoods in Madre de Dios such as agricultural work. Rene, raptor expert and tree-climber who works on scientific research projects when he is not working at an eco-lodge on the Madre de Dios River. One empirical loop that participant observation can help me close is to determine under which circumstances do conservation workers depend on cachuelos (odd jobs/temp work between more permanent work positions) in extractive economies versus other market sectors. 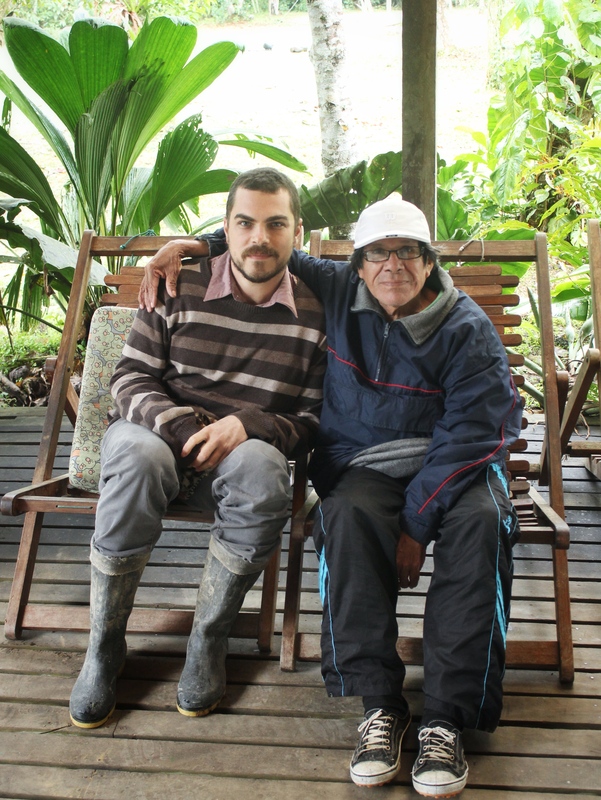 For local people who have one foot in biodiversity conservation and the other in natural resource extraction (whether they work in gold mining or logging or are members of households that depend on diversification strategies that include both conservation and extraction), the use of interviews to immediately hedge into sensitive topics may not be an effective method to elicit reliable, meaningful responses. Surveys or interviews can sometimes impose a set of practices that are alien to some locals and can lead to less reliable responses than if the “interview” is unstructured through the process of participant observation in daily life. Participant observation has generated meaningful experiences with research participants and has helped me identify and pursue new research questions. 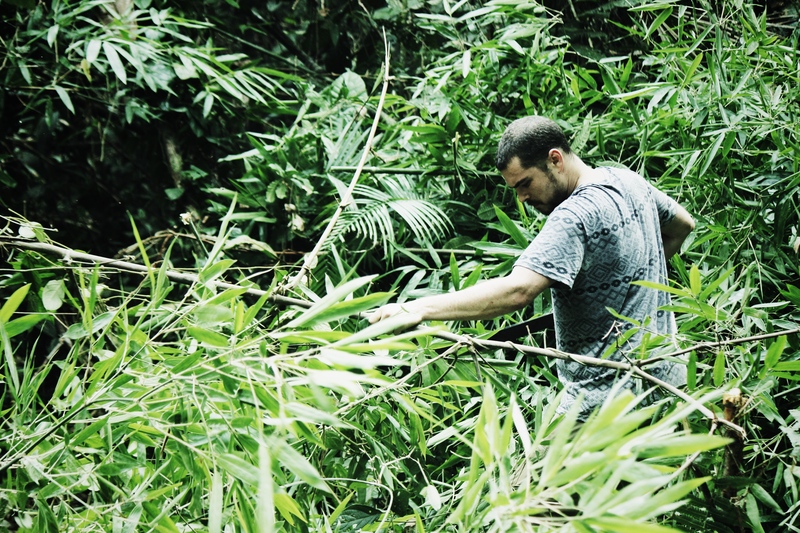 For example, hiking with a local investigator’s assistant on trails he made a decade ago and spotting wildlife together led to numerous conversations about his prior involvement in the pelt trade, a short economic boom to which some refer to as “el tiempo de piel” (the time of pelts) that has not been well documented (ethnographically or otherwise) in this region (for more on the history of wildlife hunting in Peru, see HERE). What does it mean to be both a participant and observer? The participant-observation dichotomy poses some practical issues for conducting ethnographic research. Emerson et al. (1995:18; 2001) describe a contrast between “getting into place” to observe noteworthy events on one hand or to suspend all writerly tasks in order to participate fully and to keep the writing from intruding into relationships established in the field. The former tactic somewhat removes the ethnographer (as observer) from the scene in which he or she is embedded, while the latter approach (ethnographer as participant) requires greater reliance on ‘headnotes,’ small jottings, scratch notes, abbreviated words and phrases, and other fragments of writing that are often later expanded into fuller-fledged field documents. The struggle to determine whether to write or engage (through participation or observation) is a central paradox for the ethnographic fieldworker-writer in general, and certainly a challenge for me during my time in el monte. There were several instances during which all I could do is recite data in my head to commit to memory, as taking notes was not physically possible or socially acceptable. To further complicate matters, my computer broke during the second month of fieldwork, which made note-taking and research more difficult because I typically type up expanded accounts and use qualitative analysis software as an organizational database and archival tool. 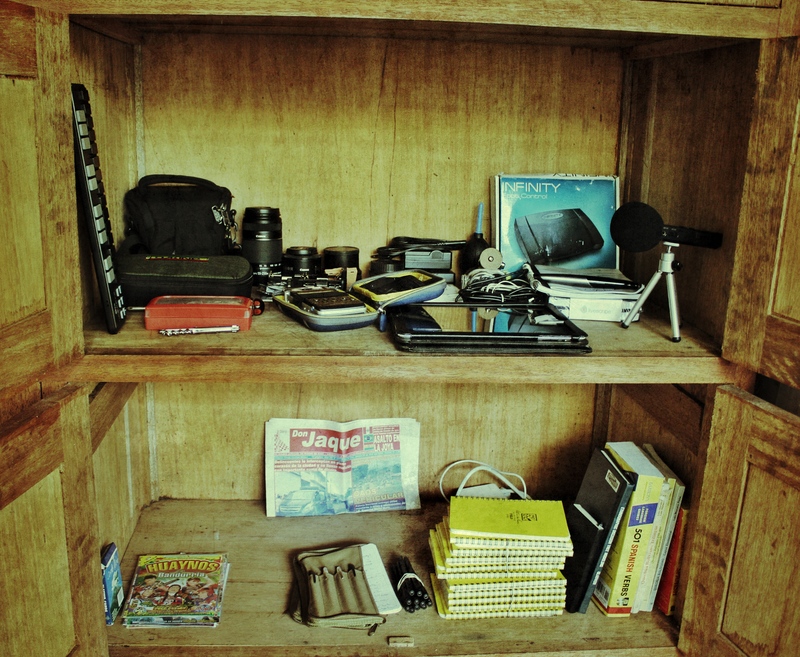 The ethnographer’s greatest tools when technology fails is pen & paper, astuteness, and memory. 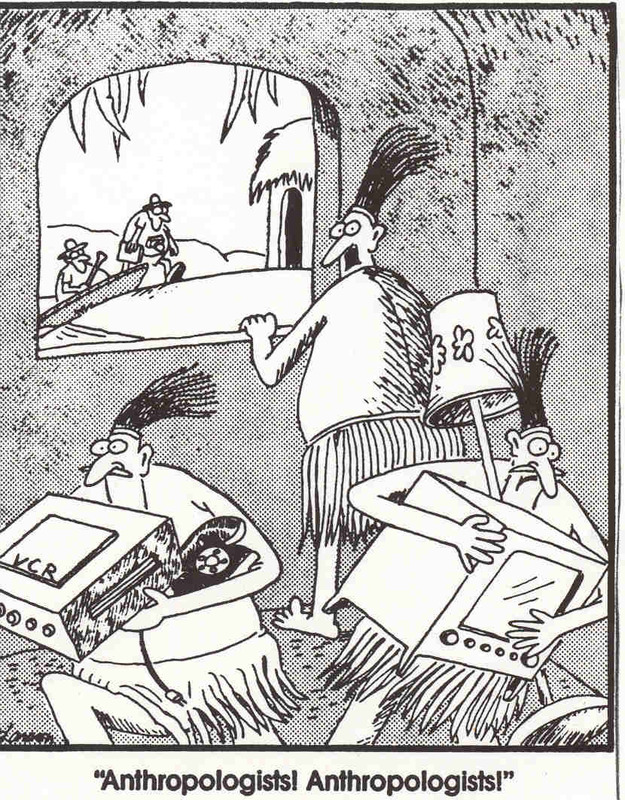 Asistentes de Investigadores (Investigator assistent: Drive remote control car into giant armadillo burrows, assist in setting up animal traps, assist in tree climbing to look for raptor nests, etc. Thanks Hillary! I’m trying to keep things interesting while being informative! Glad you like it!